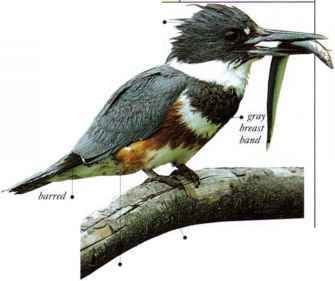 Ornamented with crests on their crowns and chestnut "tippets" on the sides of their heads, pairs of this species display together on lakes and rivers. The birds hunt for fish, insects, and other aquatic animals underwater. • NEST A heap of plant materials, floating in shallow water or among waterplants. • Distribution Breeds in much of Eurasia and in Africa and Australasia. Populations in the north of the Eurasian range winter as far south as the Mediterranean and n. India. II weeks by both parents in turn. 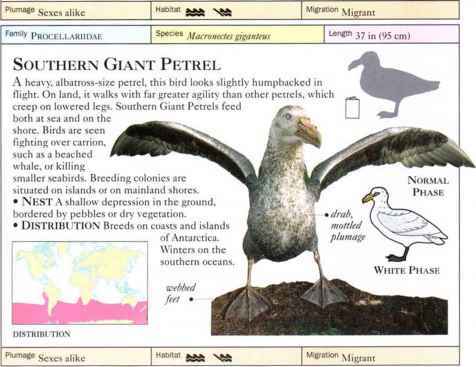 The young bird is fed on fish and regurgitated oil for up to ten months, before it Hies. Breeding normally takes place every two years. 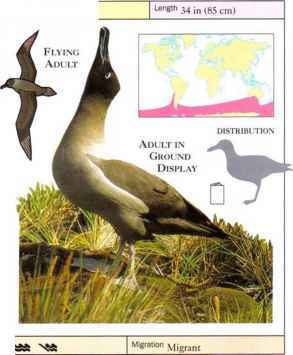 The young bird spends its first ten years at sea until it is mature enough to breed. By then its plumage will have changed gradually, through a series of molts, from chocolate brown to mainly white. The birds live on average for about 30 years. • NRST A large, drum-shaped mound scraped together out of earth and plant materials, with a small hollow in the top. 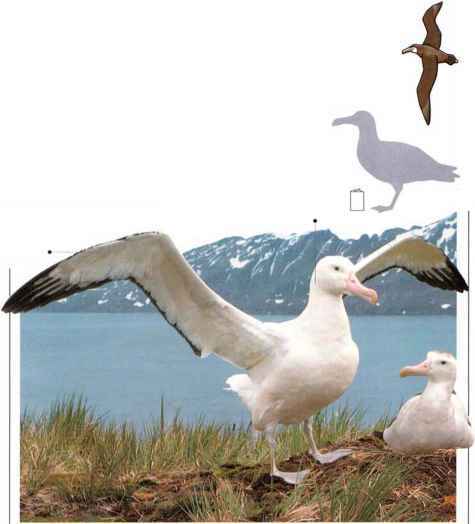 I hree features identify this small albatross: its plumage is mostly dark, its back is pale gray. and. 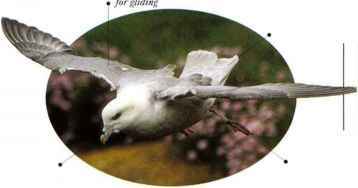 « hen seen in flight, its tail forms a perfect wedge shape. It glides for long distances with spread wings. To feed, it floats on the sea and catches fish, squid, and crustaceans. Courtship behavior includes paired flights and face-to-face ground displays in which the white eye crescent and bill stripe are shown off. The birds nest in scattered pairs on ledges of steep slopes on islands in the southern oceans. • NEST A tall mound scraped together out of soil and plant materials, with a deep, cupped hollow on the top. • DISTRIBUTION Oceans and islands around Antarctica and the southern coasts of South America, Australia, and New Zealand.